Choosing between a fiberglass and concrete pool can be tough. As you hear about the pros and cons from both ends of the spectrum, making a decision making process difficult. You’ll get a lot of advice from friends and family as well as pool professionals luck us (we like fiberglass and vinyl). The important thing is to do your own research and to decide what option is best for you’re particular circumstances. When it comes to deciding between a fiberglass pool or a concrete pool, there are many differences you should be aware of. Cost, maintenance and design all play in a role in deciding what will be the best choice for you. How do you know when you should choose a concrete pool? You are looking for very personalized pool depth and shape customization. For example, if you would like a wider pool (more than 16’ width), a deeper pool (more than 8’ depth; would be suitable if you plan on diving a lot and doing cool tricks off your diving board) or if you would like a unique shape that fiberglass pools do not typically come in. You are not concerned with maintenance or repair costs in the long-term. You want the pool to look natural, and create a scenic landscape in your yard. With a concrete pool, it is possible to implement natural rock features, make your pool look like a pond, add grottos, and so much more. You want to implement a beach entry. How do you know when you should choose a fiberglass pool? You are strapped for time and want to spend as little time and resources on weekly pool maintenance as possible. You want a pool that is low maintenance with low long-term costs, and do not require a lot of fuss in terms of chemicals and repairs. You want to install your pool as quickly and with the least amount of disruption as possible. 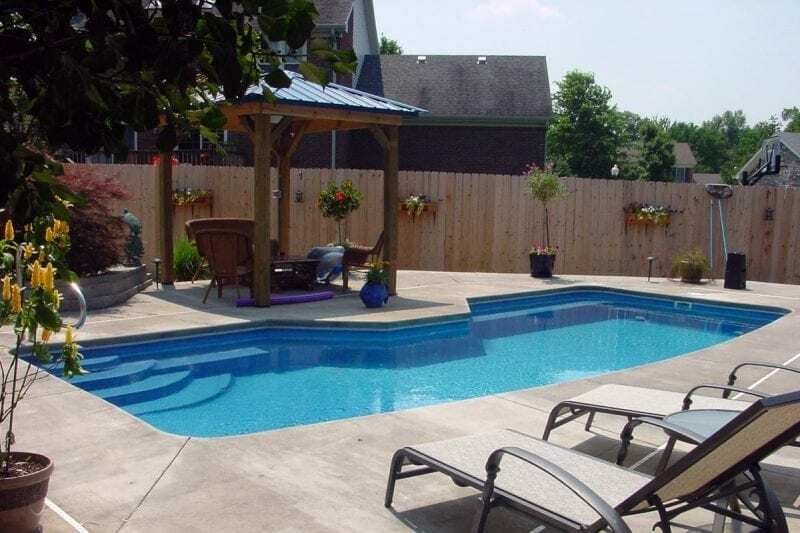 You want a smaller, more traditionally sized pool and do not require pool depth and shape customization. You want a strong, “flexible” pool that can withstand forces such as construction, constant ground vibration, etc. You do not require a “natural” looking pool, but would still like to take advantage of technologies (ie: coloured finishing) that you can customize to your home’s design and make your pool look aesthetically pleasing. As you can see, a concrete pool gives you unlimited choices when it comes to the depth and design of your pool, but it comes at a cost, both in money and in maintenance. We think fiberglass pools strike the perfect balance between design choice, minimal maintenance and budget friendliness. 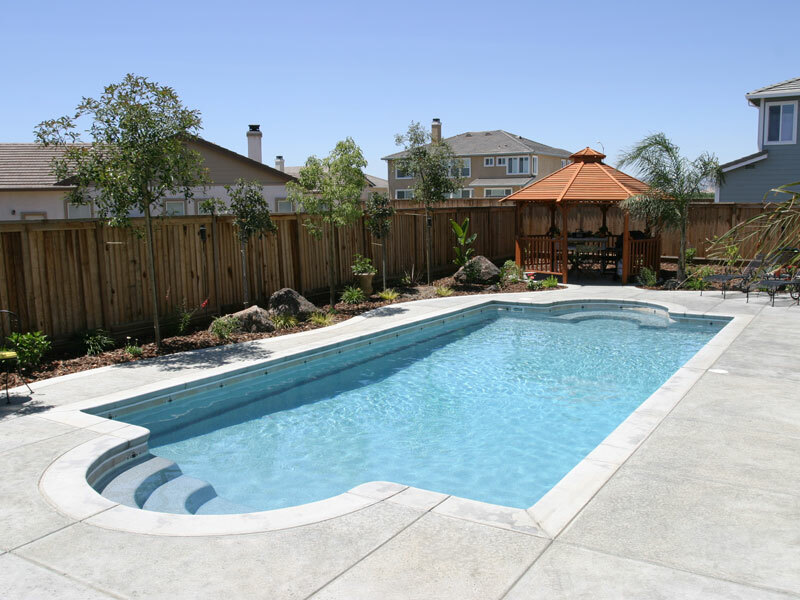 If you have any questions about fiberglass pools, we’re happy to give you some answers. You can contact us here.